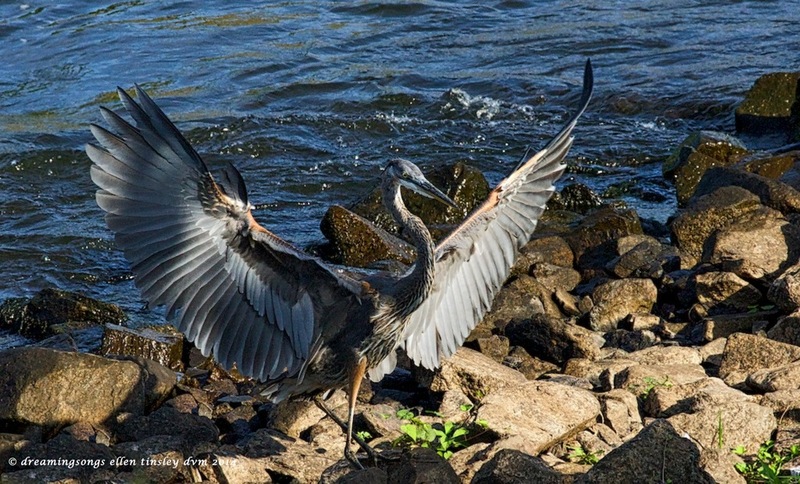 Having chased off a territory rival, this immature great blue heron lands back at his favorite fishing site. And waits for some other heron to challenge his position. 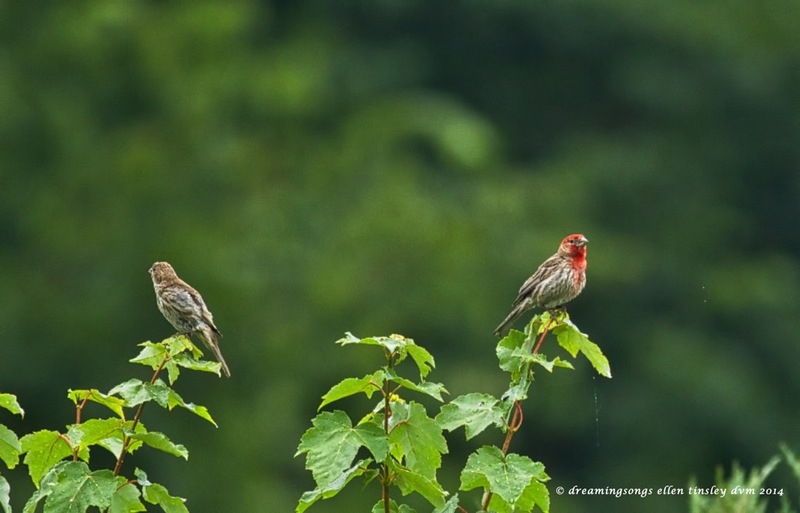 I found this pair of house finches patiently waiting out the rain this morning. 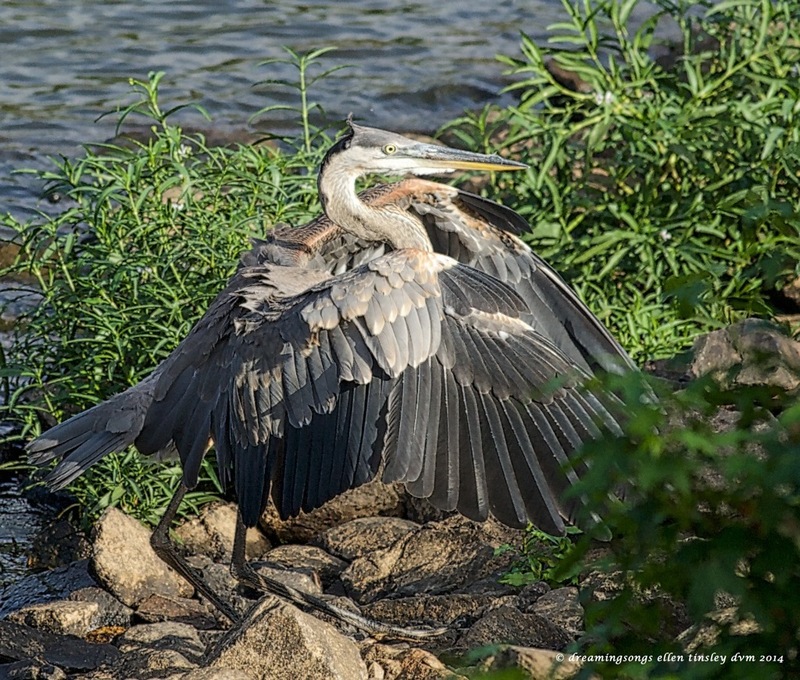 Immature great blue heron accepting the adulation of the sun – he is certain he deserves it. 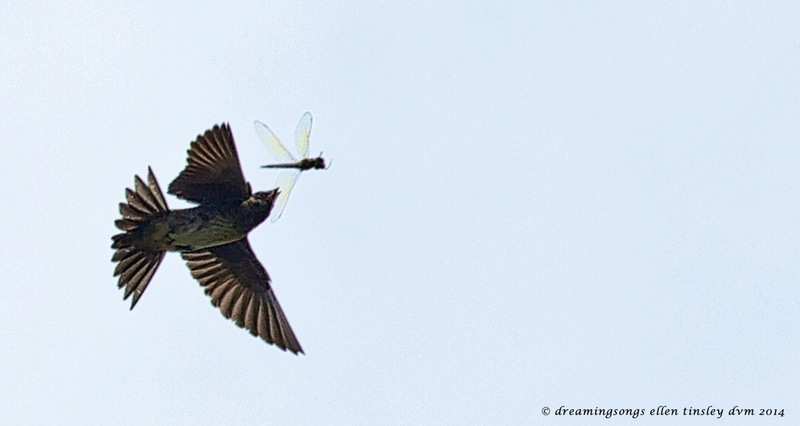 Purple martin and its dragonfly target – 00:00:24 seconds before the mid-air capture. 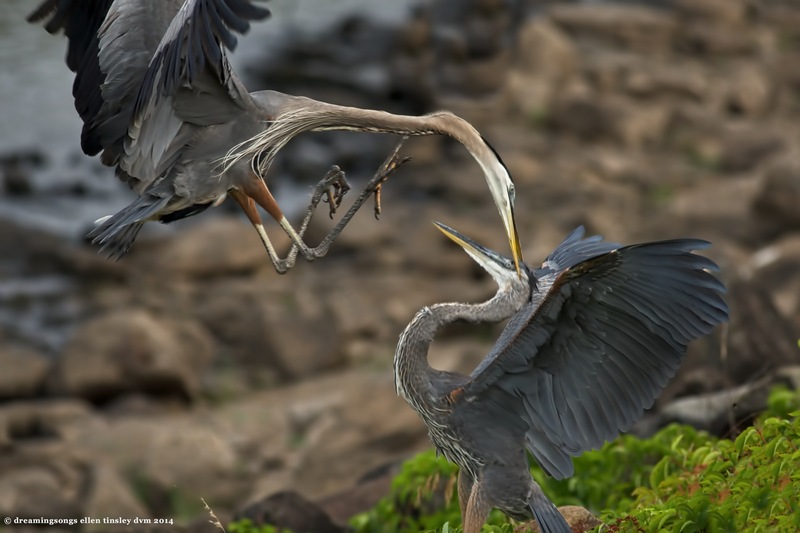 The great blue heron in the air is an adult; the great blue heron on the ground is immature. The youngster got caught infringing on the adult’s territory. 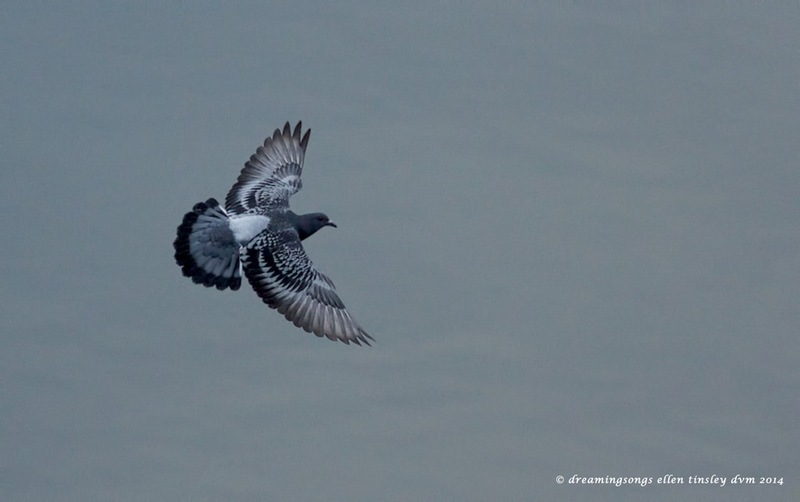 The youngster lost a single small feather from his head…and his dignity was sorely bruised.